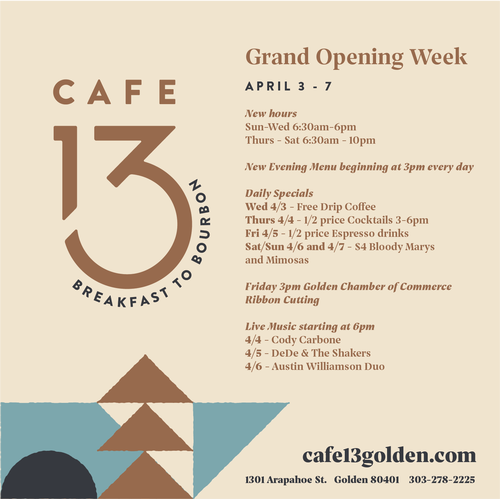 The re-model is complete and Cafe 13 is ready to open their doors. Come help them celebrate at this ribbon cutting and grand re-opening celebration event! Ribbon Cutting is at 3:00 p.m.